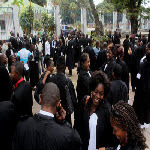 Judges across the country say they will remain on strike until they start getting paid the $1,600 President Joseph Kabila claimed they earn each month in his speech to the nation last Wednesday. 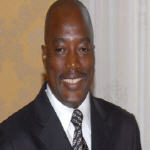 The judges say they were stunned to hear President Kabila tout their seemingly high salary as one of his accomplishments during the last five years. 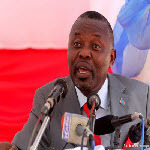 Former Speaker of the National Assembly Vital Kamerhe says President Kabila was not truthful about the state of the country on Wednesday, when he laid out his plans for the next five years and touted his record in a speech broadcasted live on national television. 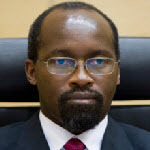 A former Rwandan rebel leader has appeared before the International Criminal Court facing charges of war crimes and crimes against humanity in the Democratic Republic of Congo. 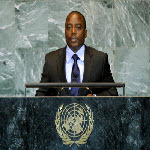 A prosecutor, Fatou Bensouda, told The Hague court that Mbarushimana represented the “respectable public face” of the FDLR, a Rwandan Hutu rebel group that attacked civilians in Congo's North and South Kivu provinces in 2009. 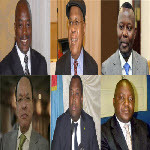 The Independent National Electoral Commission released Thursday night the provisional list of candidates in the November 28 presidential election. 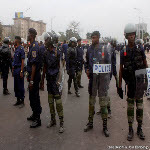 The INEC approved the applications of Jean Andeka Djamba, Adam Bombole, Joseph Kabila, Nicéphore Kakese Malela, Vital Kamerhe, Oscar Kashala, Leon Kengo wa Dondo, Mbusa Nyamwisi, Zanga Mobutu, Josue Mukendi, and Etienne Tshisekedi wa Mulumba.